With USA debt at its legal ceiling, QEII (US quantitative easing) due to expire at the end of June, the PIGS sovereign debt crisis deepening in Europe, consumer goods inflation taking root in the UK and other countries and deep public spending cuts impacting OECD economies, a period of great uncertainty lies ahead. Global events have moved extremely fast during the first half of 2011. It has been hard to keep up. Amidst the turmoil of earthquake, tsunami, and nuclear meltdown in Japan, "The Arab Spring", war with Libya and the assassination of Osama bin Laden, oil prices have also shot up from around $80 to >$120. The political response to this, in the UK at least, has been mute at best, extraordinarily stupid at worst (see below). Many energy commentators have fresh memories of the financial crash of 2008. It is now clearly understood that growing supplies of cheap energy are required to promote economic growth. When these supplies run scarce and demand grows faster than supply, the economic response is toward higher prices that both promotes supply growth (with significant time lag) but also squashes demand, causing recession. The recessionary pressure are two fold. First, consumers spending more on liquid fuel and domestic energy have less to spend on everything else. Second, high energy prices feed through to inflation, which, in a monetarist world, should be squashed by raising interest rates. The causes of the 2008 crash are complex, with "the credit crunch" taking centre stage and the role of high energy prices in toppling the world economy overlooked by the political elite. Jeff Rubin, in his talk at ASPO 9, provides a wonderfully laconic overview of the role played by high oil price in the 2008 crash. The chart below shows the relationship between high oil prices and recession in the UK. Many others have produced versions of this chart which may vary from country to country. In the past 50 years the UK has experienced 4 major recessions; three are linked to oil shocks (in blue), the fourth to stress caused by an attempt at monetary union with Europe (in brown). Figure 2 GDP growth and annual average oil prices in the UK. The oil shocks of 1973, 1979 and 2008 were all followed by recessions (blue bands). The 2008-2009 recession was particularly deep since it was underpinned by high energy prices and collapse of the banking system. The fourth recession (in brown) was caused by an attempt by the UK to pin the £ Sterling exchange rate to the Deutsch Mark. There is a lesson for Europe in there somewhere! Annual oil prices from BP Statistical Review of World Energy, UK GDP data from Office of National Statistics. It is impossible to forecast the oil price. In a recent report on "Global Commodity Watch" Goldman Sachs (GS) raised their oil price forecast for 12 months to $130 / bbl and their end 2012 forecast to $140 / bbl. They also see oil production growing to 91 mmbpd by end 2012. GS clearly believe that the World economy has adapted to high energy prices and that there is no issue with expanding production capacity. If history repeats itself, with the annual average for Brent standing at $91.33, on course to hit $100 this Fall, then the second peak oil recession is already at the door. The political response in the UK to this potential catastrophe has been woeful. In 2008, the UK passed the Climate Change Act committing the country to reduce CO2 emissions by at least 80% by 2050. This Act now drives all thinking on energy policy. In 2010 we had a general election, resulting in a hung parliament and an unlikely alliance of Conservatives and Liberal Democrats now lead the country, promising to be The Greenest Government ever. In his recent budget, UK Finance Minister George Osborne cancelled a planned increase on liquid fuel duty and instead raised taxes significantly on North Sea oil production. The budget therefore promotes increased energy consumption whilst penalising indigenous primary energy production, the exact opposite of what the UK requires. What has led us to such woeful energy policy? Figure 3 A slide form my recent ASPO9 presentation in Brussels. The chart top left shows UK primary energy production in free fall with a yawning gap opening up between production and consumption. It seems obvious to me that the UK must do everything it can to maximise indigenous primary energy production whilst at the same time reducing consumption. The consequence of not doing so is having a crippling impact upon UK trade balance (lower left) leading to ever greater financial imbalance that together with scarcity of cheap energy lie at the heart of global economic woes. 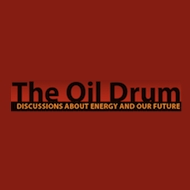 There are no simple solutions to the global cheap energy supply crisis, the growing numbers and expectations of the Earth's population and the specific problems faced by the UK with plummeting indigenous primary energy production. I am not convinced that focussing on CO2 emissions in the year 2050 is the best way to tackle the clear and present risks posed by energy prices that much of the populace cannot afford. It should be quite clear that the UK government must do all it can to promote indigenous primary energy production and this may mean assisting oil and gas and nuclear companies to "produce" more energy. At the same time we must devise ways of using less energy per capita whilst preferably maintaining a level of GDP to provide certain essential services in health care and education. The government must surely recognise that high energy prices leading to recession is not an ideal way of cutting energy use. Excellent article. Just what the doctor ordered. It deserves the widest possible circulation, by which I mean that it should be published in as many places as possible. Perhaps extended in some places, and shortened in others.Why didn't I have this superb article before I sent my new energy economics book to my publisher? Of course, in solving the problems pointed out by the author, I suggest that we do not turn to the sub-morons (like Hague and Fogh Rasmussen) who have decided to protect "civilians" in Libya.